At first instance, the word “etiquette” can put you off. It does sound pretentious and seemingly comes with a baggage, presumed to be intrusive to our sense of individuality and freedom, both socially and morally. Unfortunately, business etiquettes are essential, especially now in our modern society. In this IT generation, social media and communication platforms, such as Facebook and LinkedIn, have redefined the line of what is ethical and what is not. That leaves some of us pondering what appropriate behaviour in discussing business really is. Here are some pointers on Business Etiquettes. A firm handshake is essential. Exchange business cards with both hands. Study it and smile in response to show that you recognise the party well. Never slip it into your wallet without looking at it carefully. Appointments should be made beforehand and punctuality is vital. Be punctual for meetings and line up in order of rank. Of course, etiquettes are not all about correcting and being coerced on what to do, or not to do. It’s basically about ensuring basic social comforts and looking good. Looking good equates to feeling good. Business etiquette is essential and extends beyond the office. Besides making a good impression, it helps in establishing good rapport with colleagues and business partners that may make or break your career. It is also crucial for one to be aware that business etiquette is practiced differently in different countries. If you are meeting someone from another country, do your research on their cultural do’s and don’ts to avoid creating a bad impression and embarrassing both yourself and the person you are meeting. 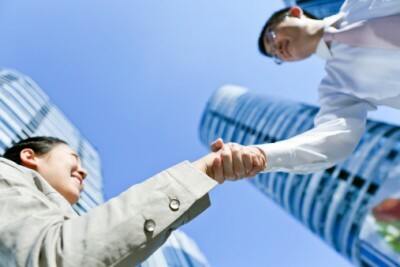 Visit www.STJobs.sg to read more career-related articles.